Spring has sprung a month early. The first delicate marshmallow pink blossoms have burst open on the almond trees in the orchard paddock. 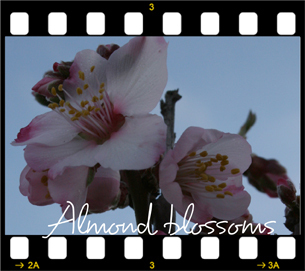 It’s a double cause for celebration: not only is spring on its way, but almost all of the almond trees have now made it through a summer drought, an autumn of neglect, and a soggy winter. I planted them halfway down a south-facing hill about 10m away from the furthest spot our garden hose can reach, so I really didn’t fancy their chances, but so far, so good. Here’s hoping for a marzipan summer!